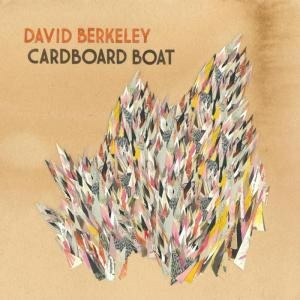 Quiet, contemplative, heartfelt and forlorn, David Berkeley's new effort is built around some of the barest designs imaginable. David Berkeley is one of those artists who’ deserves the benefits of fame and fortune. A world traveler -- he’s lived in such diverse environs as Atlanta, Idaho, Brooklyn, Corsica and his present place of residence, Santa Fe -- he’s also amassed quite a career, one that encompasses his extensive musical and literary pursuits. Since starting his artistic career he’s released four essential studio albums and one comprehensive live recording, and, just as impressively, published a pair of books as well. Not a bad track record for a guy who grew up in New Jersey, graduated from Harvard and worked at such varied occupations as tour guide, travel writer and teaching. Berkeley’s Wikipedia bio claims he first started showing an interest in music while still in nursery school, going so far as to sing door to door at the tender age of four. Berkeley’s come quite a way since then, even penning books that explain the stories behind certain songs (2011’s 140 Goats & a Guitar and the just published The Free Brontosaurus). Yet, even on their own, Berkeley’s dimly lit laments create an oddly affecting set of songs, sparse odes imbued with both despair and desire. Quiet, contemplative, heartfelt and forlorn, his new effort, Cardboard Boat, follows suit, an album built around some of the barest designs imaginable, a sound that requires the listener to lean in and focus lest listening give way to distraction. However, despite its hushed essence, it’s an amazingly beautiful collection of tracks, with songs such as “Setting Sail", “Cardboard Boat”, and “To the Sea” purveying a nautical theme that’s hopeful and heartfelt, courtesy of melodies that ignite slowly with barely a single spark. Berkeley’s vocals affirm that solitary sound, his fragile singing conveying a feeling of aching remorse and guarded optimism. “There’s a hole in my heart, I don’t know what to do", he sings on “Hole in My Heart", summing up the sentiments that pervade the album as a whole. “Colored Birds” provides a slight up tick in the energy, but that pensive sound never dissipates entirely. As always, Berkeley’s approach is both elusive and affecting. It’s the kind of sound that doesn’t necessarily make an immediate connection, and yet it does boast a soft shimmering aura all its own. There is a touch of irony found in it overall; on the album’s best song, “Brighter Day", the hope hinted at in the title is muted by the reserve and reflection that underscores its searing lyric. That question is never fully answered, and indeed, Berkeley’s torrid despair mostly continues without much hint of redemption. Still, there’s no denying the affecting nature of this superb effort, a hallmark of Berkeley’s career so far. Those that have followed him since the beginning have come to appreciate and anticipate each and every new effort to date. Hopefully it’s only a matter of time before the rest of the world follows suit.